A quality installation is one of the most important aspects of a Beautiful Floor. Of course, it all depends on the complexity of the install, but professional installation is recommended unless you know what you're doing. Thinking about DIY (do-it-yourself)? If you're good with your hands and have the right tools, there are plenty of online videos to teach you the basics. You'll definitely save money. Then again, if you’re like me, one thing is for sure - you’re bound to mess up somewhere. To add insult to injury, the very first thing I’d notice every single time I walked into the room would be the one spot (OK, maybe 2 or 3 spots) where I messed up. That’s why for me, I’ll leave it to the pros, thank you very much. Still looking for a DIY project? Installing a floating hardwood or laminate floor is fairly straightforward, as are some basic ceramic tile projects. On the other hand, properly stretching and seaming carpet or fully adhering an LVT over an irregular subfloor requires a completely different skill set that most of us simply don't possess. If you're going with the pros, there are several organizations and associations that offer installation certification, depending on the product category. Some manufacturer warranties require the use of certified installers. Most installers are independent subcontractors and their skill level can vary widely. Always ask if your installers are certified. 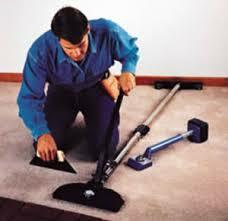 The World Floor Covering Association offers carpet certification through its Certified Floorcovering Installers program. The National Wood Flooring Association also has a separate certification as does the Tile Concil of North America. While these are not the only such certification programs, they are certainly among the best and are the most common ones for installers of residential flooring.